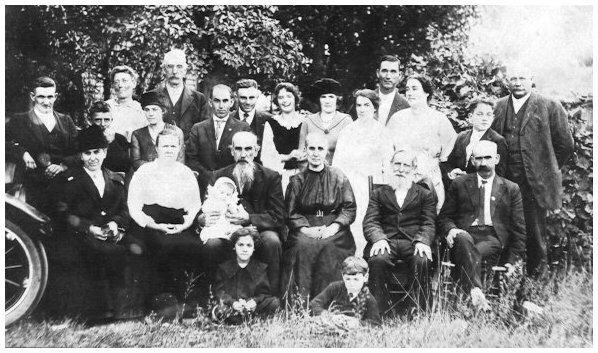 This is when many families attend family reunions. It is not too late to organize and plan one for this summer. Beyond the actual contacting the relatives and setting a location, you will want to do something memorable. Providing some type of keepsake for each family is the best method. Some ideas can be done ahead of time and will be ready when the reunion occurs or get the relatives involved during the reunion to create the final item later. Use these Keep Sake ideas to make your family event memorable! Examples: Have everyone bring their own family’s favorite recipes on index cards. Have included on the back who originated the dish and when it was mostly served – such as a Sunday noon meal. 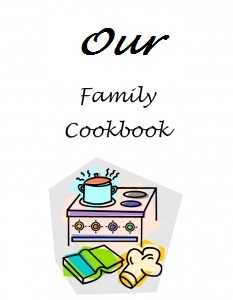 Those recipes and the family information can be put together for a wonderful cookbook. This same idea can be made into a digital form and very easily sent to everyone via email. Another idea is an autograph book. Have each person clearly write their name and then their signature below it. Truly you do need the nicely printed name to know which signature belongs to which relative. 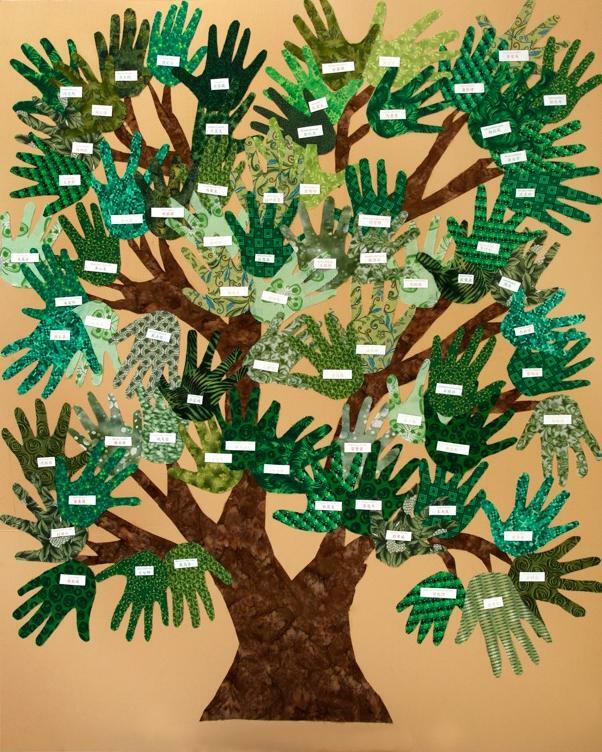 You can make a big family tree with the branches of those who will be attending on a poster. 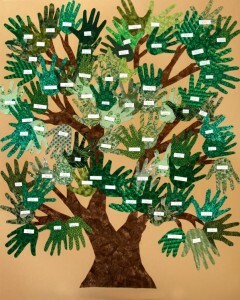 Place a name and then have each person use an ink pad and then put their thumbprint or a handprint by their name. Use different colors and be prepared to clean the hands. An item that can be done before hand is to design a calender for the next year and place family photos of places and people. In the date boxes for a specific person’s birthday place a small image of that individual. Besides birthdays, anniversaries can be done. Have printed and put together the calendar. Either have a donation jar or ask for a fee to cover the cost of manufacturing the calendars. Make sure a group family portrait is done, especially by a professional photographer. You can even break it down into individual families and each order the number of photos they want. Photos: Family cook book; hand print tree; Fiscus-Dyar Family Reunion 1923 photo.